The new Classic Rack is based on a vintage design which has been re-engineered to allow it to securely fit any saddle with metal bag loops. In keeping with Carradice's ethos, the new Classic Saddlebag Rack is manufactured entyrely in Lancashire by one of Carradice's trusted suppliers. We note: The welding on the joints is not very tidy, however this does not affect performance. I had one of these many years ago and it was very much like the first one extremely useful. The only difference is my current saddles are Brooks with quite large springs which cause the support to be less easily attached. I would still recommend it for quick removal of saddbag. Wishing to support a saddle bag without a full rear rack for a short stoker (tandem) was proving difficult: interference with the rear brake cable. This rack cleverly solved that. Can I use this with a Brooke's Flyer sprung saddle and a Carradice Super C saddlebag please? Although this rack would be suitable for use with a Super C saddlebag, it unfortunately would not be suitable for use with a Brooks Flyer saddle as the springs interfere with the rack preventing it from sitting correctly. Is this suitable for carrying backpacks? Would this rack hold small backpacks or briefcase couple with motorcycle straps? Although its hard to say without being able to try the bag, this would in theory be possible if you can strap it in place securely. 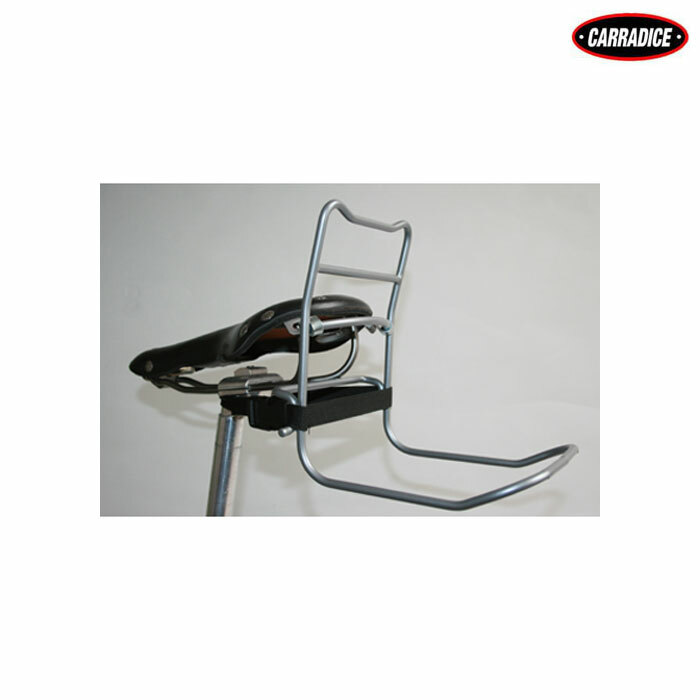 This rack is indeed suitable for use with the Carradice Camper Longflap saddle bag.